Case of the winter blues? Well, lining up a tropical trip is always the best remedy. But nothing can kill your vacation buzz (and your style game) quicker than sweating through your entire wardrobe. Soggy is never a good look when you’re strolling through town. To get the most of your beach getaway, we suggest the following attire to stay crisp & cool: Who has time to sweat the small stuff, right? Make sure to pack plenty of comfortable tees. Cotton is a natural fabric that allows air to circulate―and your skin breathe. Opt for lighter colors to avoid attracting extra light from the sun. When it comes to fit, loose is the way to go to keep fabrics from clinging to your skin. Besides swimming trunks, bring a couple pairs of cotton shorts to wear while hiking. 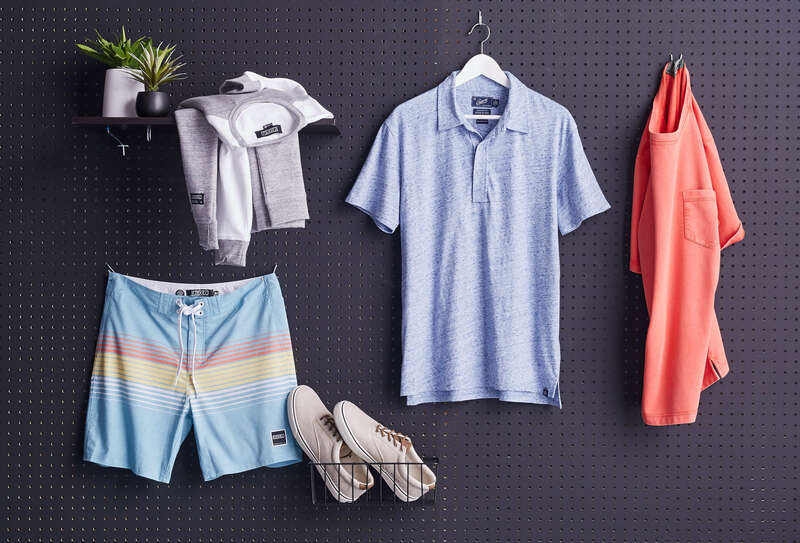 Avoid any cargo-style shorts as the bulkiness will increase your heat factor. A pair of light weight trousers will be great for nighttime—they’re great for heading out to dinner. While most of your days will be spent lounging by the pool (lucky you), you may have a few evening activities planned. A casual button down made of cotton (there goes that word again) easily pairs with shorts. The sleeves can be cuffed for extra breeze (even if it is just on your forearms). If all else fails, they always sell those fan spray bottles at the gift shops. Spray on, playa.